I do like a room that does not stick to its label, thinking outside the box, especially when it comes to bathrooms. 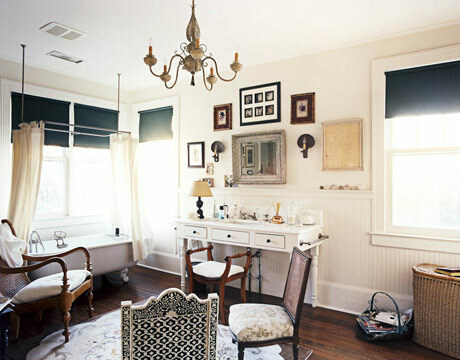 Warmth is added to this traditional bathroom with beautiful furniture. A warm glamorous touch by Rozanne Jackson. Built in units and flowing curtains, adding a different feeling to this airy bathroom.